The East Africa Data Centre is the “Best Business Service Innovation award winner in this year’s Global Telecoms Business Innovation awards. 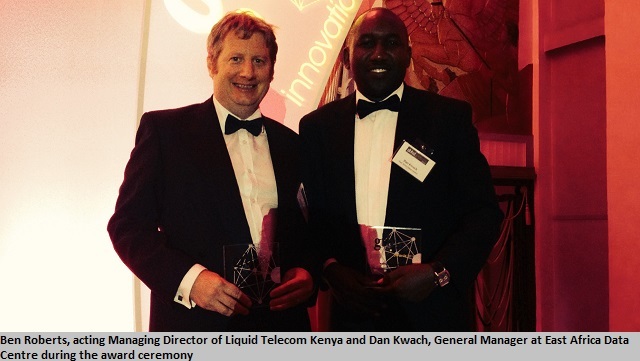 East Africa Data Centre was named alongside Liquid Telecom in the same category. The Global Telecoms Business Innovation awards is organized by Global Telecoms Business magazine to celebrate innovative projects by vendors and operators when serving their customers. East Africa Data Centre, opened in September 2013, is the largest and most sophisticated in Africa outside South Africa. Designed to meet international standards TIA-942, it is the only purpose-built data centre outside South Africa and has solved the biggest challenges for data centres across the continent – namely connectivity, security and power supply. Many blue chip customers are already present in the building, including banks, mobile network operators, ISPs and cloud solutions providers. The East Africa Data Centre is carrier neutral with connectivity to the backbone and metro fibre offered by all the local Kenyan carriers and many international carriers such as Tata, Level3 and Seacom, making it the most connected data centre in east and central Africa.